Obtain a passport from any participating shop. We have a custom pattern for the event, pick up a piece of the pattern at each shop. 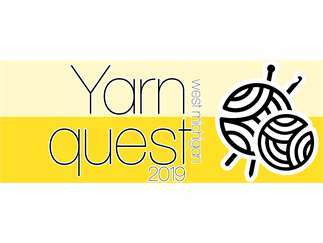 Featuring a custom colorwa of SilkDance yarn designed for exclusively for West Michigan Yarn Quest. Enjoy 20% off regularly priced yarn for the entirety of the event. Turn in your completed passport for a chance to win huge prizes. Visit https://www.facebook.com/WMYarnQuest/ for more information.